HB25 RELATING TO PUBLIC SAFETY. HB26 RELATING TO TRANSIENT ACCOMMODATIONS. HB27 RELATING TO PRIVATE ROADS. HB28 RELATING TO EMERGENCY VEHICLES. HB29 RELATED TO TRANSIENT ACCOMMODATIONS. HB30 RELATING TO DRIVER'S LICENSES. HB31 HD1 RELATING TO ELECTION NOMINATION PAPERS. HB53 HD1 MAKING AN APPROPRIATION TO THE OFFICE OF THE PROSECUTING ATTORNEY FOR HAWAII COUNTY. HB131 HD2 RELATING TO HEMP. HB143 HD1 RELATING TO COFFEE LABELING. HB144 HD1 SD1 RELATING TO COFFEE LABELING. HB145 RELATING TO MOTOR VEHICLE INSPECTIONS. HB146 HD1 RELATING TO HEALTH. HB155 RELATING TO AIR QUALITY. HB232 HD1 RELATING TO MINIMUM WAGE. HB243 HD1 RELATING TO EDUCATION FUNDING. HB244 HD1 RELATING TO EARLY LEARNING. HB245 HD1 RELATING TO EDUCATION. HB246 HD2 RELATING TO CHARTER SCHOOLS. HB247 HD1 RELATING TO SCHOOLS. HB297 HD1 SD1 RELATING TO MOSQUITO VECTOR CONTROL. HB311 RELATING TO THE GENERAL EXCISE TAX. HB312 HD1 SD2 RELATING TO CREATIVE MEDIA. HB330 HD1 SD1 CD1 RELATING TO SUICIDE PREVENTION. HB377 HD1 RELATING TO THE UNIVERSITY OF HAWAII. HB398 HD1 SD2 RELATING TO THE UNIVERSITY OF HAWAII. HB400 RELATING TO TRANSIENT ACCOMMODATIONS HOSTING PLATFORMS. HB419 HD2 SD2 RELATING TO TRANSIENT ACCOMMODATIONS. HB420 HD1 SD1 RELATING TO HAWAIIAN CULTURE. HB423 RELATING TO RAPID OHIA DEATH. HB425 HD1 SD1 RELATING TO WATER QUALITY MONITORING. HB480 PROPOSING AN AMENDMENT TO ARTICLE III, SECTION 6, OF THE HAWAII CONSTITUTION TO CHANGE THE QUALIFICATIONS OF MEMBERS OF THE LEGISLATURE. HB492 HD1 RELATING TO THE STATE FIRE CODE. HB527 HD2 RELATING TO THE HAWAII HEALTH SYSTEMS CORPORATION. HB528 RELATING TO URBAN REDEVELOPMENT. HB529 HD1 SD1 RELATING TO MOTOR VEHICLES. HB530 HD1 SD1 RELATING TO MANAGEMENT OF STATE FUNDS. HB531 HD1 SD1 RELATING TO ENTERPRISE TECHNOLOGY SERVICES. HB532 HD1 SD1 RELATING TO GOVERNMENT DATA. HB533 HD2 SD1 RELATING TO BROADBAND. HB534 HD1 RELATING TO SHIP REPAIR INDUSTRY. HB535 HD1 RELATING TO THE ISSUANCE OF SPECIAL PURPOSE REVENUE BONDS TO ASSIST PEARL HARBOR FLOATING DRYDOCK, LLC. HB536 RELATING TO RAW MILK. HB537 RELATING TO EXTRACURRICULAR ACTIVITIES. HB598 RELATING TO OFFENSES AGAINST PUBLIC ADMINISTRATION. HB612 RELATING TO ABANDONED VEHICLES. HB613 HD1 SD1 RELATING TO WORKFORCE DEVELOPMENT. HB615 HD3 SD2 RELATING TO THE BOARD OF EDUCATION. HB616 HD1 RELATING TO TAXATION. HB618 SD1 RELATING TO STATE FUNDS. HB620 HD1 PROPOSING AN AMENDMENT TO THE HAWAII CONSTITUTION TO REQUIRE THE ELECTION OF MEMBERS OF THE BOARD OF EDUCATION. HB621 HD1 RELATING TO EDUCATION. HB623 HD1 RELATING TO THE HAWAII TECHNOLOGY DEVELOPMENT CORPORATION. HB624 HD1 SD3 RELATING TO THE STRUCTURE OF GOVERNMENT. HB626 SD2 RELATING TO VACANCIES. HB628 RELATING TO THE EMPLOYEES' RETIREMENT SYSTEM. HB630 HD1 RELATING TO GLASS CONTAINER RECOVERY. HB631 HD1 RELATING TO TAXATION. HB634 RELATING TO RESTORATIVE JUSTICE. HB707 RELATING TO CONDOMINIUM ASSOCIATIONS. HB709 HD1 SD1 PROPOSING AN AMENDMENT TO ARTICLE II OF THE CONSTITUTION OF THE STATE OF HAWAII. HB710 HD1 SD1 RELATING TO EMPLOYMENT PRACTICES. HB712 HD1 RELATING TO ELECTIONS. HB713 HD1 SD1 RELATING TO HOMELESSNESS. HB714 HD1 RELATING TO NATURAL DISASTER PROTECTION. HB723 HD1 RELATING TO EDUCATION. HB773 HD2 SD2 RELATING TO THE DEPARTMENT OF BUSINESS, ECONOMIC DEVELOPMENT, AND TOURISM. HB774 RELATING TO THE ALTERNATIVE ENERGY RESEARCH AND DEVELOPMENT FUND. HB793 RELATING TO POLYSTYRENE FOAM CONTAINERS. HB794 RELATING TO MARINE LIFE CONSERVATION DISTRICTS. HB795 RELATING TO MARINE LIFE CONSERVATION DISTRICTS. HB821 HD2 SD1 RELATING TO TELECOMMUNICATIONS. HB834 HD1 RELATING TO PUBLIC REAL PROPERTY. HB842 HD1 SD2 RELATING TO THE HAWAII STATE PLANNING ACT. HB843 HD1 SD1 RELATING TO HAWAII COMMUNITY COLLEGE. HB844 HD1 RELATING TO TAXATION. HB845 HD1 SD2 RELATING TO EMPLOYEE TRAINING. HB846 RELATING TO SISTER-STATE RELATIONSHIPS. HB850 HD1 RELATING TO ENVIRONMENTAL PROTECTION. HB889 HD1 SD1 RELATING TO PUBLIC-PRIVATE PARTNERSHIPS. HB899 RELATING TO CONFORMITY TO THE INTERNAL REVENUE CODE. HB901 HD1 SD2 RELATING TO GOVERNMENT PUBLICATIONS. HB903 HD1 SD1 RELATING TO THE JUDICIARY. HB908 HD2 SD1 RELATING TO THE TRANSIENT ACCOMMODATIONS TAX. HB909 HD1 RELATING TO AGRICULTURE. HB910 HD1 SD1 RELATING TO BANYAN DRIVE. HB911 HD2 SD1 RELATING TO TOURISM. HB916 RELATING TO HAWAIIAN LANGUAGE. HB933 RELATING TO CRISIS INTERVENTION. HB934 RELATING TO DOMESTIC VIOLENCE. HB1105 RELATING TO ENVIRONMENTAL PROTECTION. HB1106 RELATING TO CONSERVATION DISTRICT PERMITS. HB1135 HD1 RELATING TO DEPARTMENT OF TAXATION OPERATIONS. HB1154 HD1 RELATING TO THE OWNER-BUILDER EXEMPTION. HB1155 RELATING TO OFFENSES AGAINST PUBLIC ADMINISTRATION. HB1156 HD1 RELATING TO BROADBAND SERVICE INFRASTRUCTURE. HB1180 HD1 RELATING TO NATURAL DISASTERS. HB1190 HD1 SD1 RELATING TO TAXATION. HB1193 SD1 RELATING TO TAXATION. HB1201 HD1 RELATING TO HEALTH. HB1202 RELATING TO CAPITAL IMPROVEMENT PROJECTS FOR THE BENEFIT OF THE FIRST REPRESENTATIVE DISTRICT. HB1209 HD2 RELATING TO HOUSING. HB1212 RELATING TO TRANSIT-ORIENTED DEVELOPMENT. HB1219 HD1 SD2 RELATING TO PUBLIC LANDS. HB1234 HD1 RELATING TO MOTOR VEHICLES. HB1236 RELATING TO MAKUA VALLEY. HB1237 RELATING TO VEHICLE REGISTRATION. HB1238 RELATING TO PARENTAL RIGHTS. HB1260 RELATING TO EMPLOYEES' RETIREMENT SYSTEM. HB1271 RELATING TO PUBLIC SAFETY. HB1272 HD1 SD1 RELATING TO PRESCRIPTION DRUGS. HB1282 HD1 RELATING TO STATE BUILDING CONSTRUCTION. HB1284 HD1 RELATING TO PUBLIC HEALTH. HB1311 PROPOSING AMENDMENTS TO ARTICLE VI OF THE CONSTITUTION OF THE STATE OF HAWAII TO AMEND THE MANNER IN WHICH JUSTICES AND JUDGES ARE APPOINTED, CONSENTED TO, AND RETAINED. HB1326 HD2 RELATING TO WATER RIGHTS. HB1379 RELATING TO VOTER REGISTRATION. HB1380 HD1 SD1 RELATING TO CAMPAIGN FINANCE. HB1383 HD2 SD1 RELATING TO MARIJUANA. HB1394 HD1 SD1 RELATING TO THE COUNTY SURCHARGE ON STATE TAX. HB1416 HD1 SD1 RELATING TO HEALTH. HB1424 HD1 SD1 RELATING TO VISITOR INFORMATION. HB1425 RELATING TO THE STATE CAPITOL. HB1426 HD1 RELATING TO THE DEPARTMENT OF ACCOUNTING AND GENERAL SERVICES. HB1427 HD1 RELATING TO THE DEPARTMENT OF BUDGET AND FINANCE BUDGET. HB1428 HD1 RELATING TO THE OFFICE OF THE GOVERNOR BUDGET. HB1442 HD1 RELATING TO PHARMACY BENEFIT MANAGERS. HB1447 HD1 RELATING TO PALLIATIVE CARE. HB1448 HD1 RELATING TO HEALTH. HB1453 HD1 SD1 RELATING TO EMERGENCY MEDICAL SERVICES. HB1460 HD1 RELATING TO THE STATEWIDE BOATING PROGRAM. HB1462 HD1 RELATING TO UNFUNDED LIABILITIES. HB1463 RELATING TO DELAY IN PRIOR APPROVAL FOR MEDICAL SERVICES. HB1465 HD2 RELATING TO PUBLIC SCHOOLS. HB1483 HD1 SD1 RELATING TO CLIMATE CHANGE. HB1488 HD1 RELATING TO THE STATE CAPITOL. HB1503 HD2 SD1 RELATING TO AGRICULTURE. HB1529 RELATING TO STUDENT JOURNALISTS. HB1536 HD1 RELATING TO EQUAL PAY. HB1537 HD1 RELATING TO THE OFFICE OF MAUNA KEA MANAGEMENT. HB1538 RELATING TO DAMS AND RESERVOIRS. HB1539 HD1 SD2 RELATING TO THE HAWAII HEALTH SYSTEMS CORPORATION. HB1566 HD1 RELATING TO PRESCRIPTIVE AUTHORITY FOR CERTAIN CLINICAL PSYCHOLOGISTS. HB1578 RELATING TO SEA LEVEL RISE. HCR1 RELATING TO RECESS DAYS FOR THE REGULAR SESSION OF 2019. HCR2 REQUESTING THE GOVERNOR TO ADDRESS THE LEGISLATURE ASSEMBLED IN JOINT SESSION. HCR11 REQUESTING THE STATE AUDITOR TO PERFORM AN AUDIT ON THE USE OF GEOGRAPHIC EXCEPTIONS WITHIN THE DEPARTMENT OF EDUCATION, INCLUDING REPORTING ON EQUITY IMPLICATIONS BASED ON THE INFORMATION CONTAINED IN THE AUDIT. HCR12 REQUESTING THE STATE AUDITOR TO PERFORM AN AUDIT OF THE DEPARTMENT OF EDUCATION'S PROGRESS TOWARD AN ALTERNATIVE CERTIFICATION PROGRAM FOR SCHOOL LEADERS. HCR15 URGING UNITED STATES CUSTOMS AND BORDER PROTECTION AND THE HAWAII NARCOTICS ENFORCEMENT DIVISION TO INCREASE CANINE NARCOTIC CONTRABAND DETECTION TEAMS AT THE STATE'S PORTS OF ENTRY. HCR22 REQUESTING A STUDY BY THE UNIVERSITY OF HAWAII COLLEGE OF TROPICAL AGRICULTURE AND HUMAN RESOURCES ON THE DEVELOPMENT OF MORE POTENT CANNABIDIOL. HCR31 URGING THE SMITHSONIAN INSTITUTION TO IMMEDIATELY RENAME THE ARTHUR M. SACKLER GALLERY. HCR33 ENDORSING TAIWAN'S PARTICIPATION AS AN OBSERVER IN THE UNITED NATIONS FRAMEWORK CONVENTION ON CLIMATE CHANGE, INTERNATIONAL CIVIL AVIATION ORGANIZATION, WORLD HEALTH ORGANIZATION, AND INTERNATIONAL CRIMINAL POLICE ORGANIZATION; ENCOURAGING A U.S.-TAIWAN BILATERAL TRADE AGREEMENT; AND CELEBRATING THE STATE OF HAWAII'S TWENTY-SIXTH ANNIVERSARY OF SISTER-STATE RELATIONS WITH TAIWAN AND THE FORTIETH ANNIVERSARY OF THE TAIWAN RELATIONS ACT. HCR36 URGING THE GOVERNOR'S COORDINATOR ON HOMELESSNESS AND THE CITY AND COUNTY OF HONOLULU TO COME TOGETHER AND PRIORITIZE THEIR HOMELESSNESS EFFORTS IN THE AREA SURROUNDING THE HAWAI‘I CHILDREN'S DISCOVERY CENTER BY CONVENING A TASK FORCE. HCR54 REQUESTING THE DEPARTMENT OF LABOR AND INDUSTRIAL RELATIONS, IN COLLABORATION WITH THE DEPARTMENT OF AGRICULTURE, TO SUBMIT A REPORT DETERMINING A LIVING WAGE STANDARD FOR AGRICULTURAL WORKERS LIVING IN THE STATE. HCR56 HD1 SD1 REQUESTING THE DEPARTMENT OF EDUCATION TO ESTABLISH TRAINING PROGRAMS TO EMPOWER PARENTS, TEACHERS, STUDENTS, AND ADMINISTRATORS ON HOW TO PREVENT, IDENTIFY, REPORT, AND MITIGATE ALL FORMS OF CHILD ABUSE THAT MAY TAKE PLACE. HCR58 REQUESTING THE DEPARTMENT OF HUMAN SERVICES IN CONJUNCTION WITH THE DEPARTMENT OF EDUCATION TO DEVELOP A MOBILE APPLICATION FOR REPORTING CHILD ABUSE AND NEGLECT. HCR66 REQUESTING THE STATE AND COUNTIES TO EXPAND EFFORTS FOR COMMUNITY INPUT REGARDING ADOPTION OF ADMINISTRATIVE RULES, STATEWIDE PLANS, AND PLANS THAT AFFECT RURAL COMMUNITIES. HCR77 REQUESTING THE DEPARTMENT OF TRANSPORTATION TO CONVENE A TASK FORCE TO ESTABLISH BETTER SAFETY CONDITIONS AT CROSSWALKS AND REPORT ON RECOMMENDED LOCATIONS AND POTENTIAL COSTS TO IMPLEMENT PEDESTRIAN ACTUATED SAFETY SIGNALS AT MID-BLOCK CROSSINGS. HCR113 HD1 SD1 CONVENING THE MULTIPLE LANGUAGES EMERGENCY NOTIFICATION WORKING GROUP. HCR115 REQUESTING THE LEGISLATIVE REFERENCE BUREAU TO ESTABLISH A TASK FORCE TO REVIEW HAWAII'S CURRENT VOTER EDUCATION SYSTEM AND PROPOSE IMPROVEMENTS. HCR116 HD1 CONVENING A GAMBLING ADVISORY GROUP TO EXAMINE AND ASSESS THE IMPACTS OF GROWING ACCESS TO ONLINE AND ILLEGAL GAMBLING IN HAWAII. HCR123 URGING THE COUNTY COUNCILS TO ENACT ORDINANCES TO BAN THE SALE AND RENTAL OF FULL-FACE SNORKEL MASKS IN HAWAII. HCR127 HD1 REQUESTING THE DEPARTMENT OF LABOR AND INDUSTRIAL RELATIONS TO CONVENE AN INTERAGENCY ENFORCEMENT TASK FORCE TO COMBAT ILLEGAL ACTIVITIES RELATED TO THE CONSTRUCTION AND OPERATIONS OF "MONSTER HOMES" IN THE STATE. HCR129 REQUESTING THE STATE TO CONVENE AN ARTIFICIAL INTELLIGENCE ADVISORY COMMITTEE TO INVESTIGATE HOW TO IMPLEMENT, DEVELOP, AND REGULATE ARTIFICIAL INTELLIGENCE IN THE STATE. HCR130 REQUESTING THE HAWAII DEVELOPMENT DISABILITIES COUNCIL TO CONVENE A WORKING GROUP TO COORDINATE ALL SERVICES PROVIDED TO INDIVIDUALS WITH INTELLECTUAL AND DEVELOPMENTAL DISABILITIES AND THEIR FAMILIES. HCR138 URGING THE COUNTY OF HAWAII TO CREATE ALTERNATE ROUTES TO PROPERTIES IN THE PUNA DISTRICT THAT WERE AFFECTED, BUT NOT DESTROYED, BY THE 2018 KILAUEA ERUPTION. HCR140 REQUESTING THE DEPARTMENT OF LAND AND NATURAL RESOURCES TO CONDUCT A FEASIBILITY AND COST STUDY RELATING TO THE CONSTRUCTION OF A BOAT RAMP IN THE PUNA DISTRICT. HCR141 URGING THE COUNTY OF HAWAII TO ADOPT LEGISLATION AUTHORIZING AND PROMOTING AGRITOURISM IN THE COUNTY OF HAWAII. HCR142 URGING THE COUNTY OF HAWAII TO ESTABLISH A HOUSING ASSISTANCE PROGRAM FOR RESIDENTS AFFECTED BY THE 2018 VOLCANIC DISASTER. HCR143 URGING THE UNIVERSITY OF HAWAII TO STUDY THE FEASIBILITY OF ESTABLISHING A HAWAII COMMUNITY COLLEGE DISTANCE LEARNING CENTER IN THE PUNA DISTRICT. HCR146 URGING THE COUNTY OF HAWAII TO EXPLORE A MEMORANDUM OF AGREEMENT WITH THE UNITED STATES ARMY TO PROVIDE AEROMEDICAL EVACUATION SERVICES FOR UNDERSERVED RURAL AREAS. HCR165 URGING THE UNITED STATES CONGRESS TO CONSIDER INTRASTATE AIR TRAVEL IN HAWAII AS A SPECIAL CASE AND TO PASS LEGISLATION AUTHORIZING HAWAII TO REGULATE INTRASTATE AIR TRAVEL. 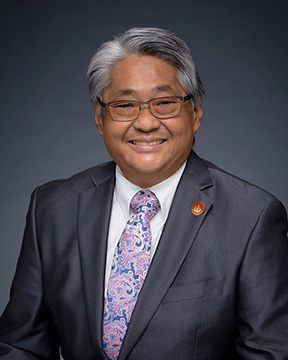 HCR166 REQUESTING THE WILLIAM S. RICHARDSON SCHOOL OF LAW TO CONVENE A TASK FORCE TO STUDY AND REPORT ON A LOAN FORGIVENESS PROGRAM FOR LAW STUDENTS TO PROVIDE INCENTIVES FOR LEGAL ASSISTANCE IN RURAL COMMUNITIES IN HAWAII. HCR167 ENGAGING, ENDORSING, ACCEPTING, AND ADOPTING THE AARHUS CONVENTION TO ACHIEVE THE UNITED NATIONS PARIS AGREEMENT, THE 2030 AGENDA, AND THE UNIVERSAL DECLARATION OF HUMAN RIGHTS. HCR168 SD1 URGING THE CONVENING OF A TASK FORCE TO EVALUATE AND IDENTIFY POTENTIAL SOURCES AND MEANS OF FUNDING AVAILABLE TO PROVIDE SUPPORT FOR AND HELP MAINTAIN THE HAWAII WILDLIFE CENTER FACILITY AND HAWAII'S ENDANGERED WILDLIFE. HCR193 SD1 REQUESTING THE AUDITOR TO CONDUCT A FOLLOW-UP STUDY TO ITS 2015 STUDY OF DEPARTMENTAL ENGINEERING SECTIONS THAT MANAGE CAPITAL IMPROVEMENT PROJECTS. HCR196 REQUESTING THE BOARD OF LAND AND NATURAL RESOURCES TO PRIORITIZE STREAM RESTORATION AND PROTECTION WHEN DISCUSSING AND MAKING WATER AND LAND USE DECISIONS AFFECTING THE ENVIRONMENT AND DRINKING WATER. HCR199 REQUESTING THE MEDICAL CANNABIS INSURANCE REIMBURSEMENT WORKING GROUP TO CONTINUE ITS WORK TO ADDRESS THE COMPLEXITIES SURROUNDING MEDICAL CANNABIS REIMBURSEMENTS BY HEALTH INSURANCE. HCR200 DESIGNATING FEBRUARY OF EACH YEAR AS LIVER AND BILE DUCT CANCER AWARENESS MONTH IN THE STATE OF HAWAII. HCR201 DESIGNATING APRIL AS ORGAN DONOR AWARENESS MONTH IN HAWAII. HCR202 DECLARING APRIL AS CHILD ABUSE PREVENTION MONTH. HCR203 REQUESTING THE DEPARTMENT OF HUMAN SERVICES TO EXAMINE THE IMPLEMENTATION OF ACT 217, SESSION LAWS OF HAWAII 2018, REGARDING MISREPRESENTATION OF SERVICE ANIMALS. HCR208 URGING THE DEPARTMENTS OF HEALTH AND HUMAN SERVICES TO ADOPT THE CANADIAN DIAGNOSTIC GUIDELINE FOR DIAGNOSIS OF FETAL ALCOHOL SPECTRUM DISORDER, AS PUBLISHED IN THE CANADIAN MEDICAL ASSOCIATION JOURNAL. HCR210 REQUESTING THE AUDITOR TO CONDUCT A COMPREHENSIVE PERFORMANCE AND MANAGEMENT AUDIT OF THE CHILD WELFARE SERVICES BRANCH OF THE DEPARTMENT OF HUMAN SERVICES. HCR213 REQUESTING THE AUDITOR TO CONDUCT MANAGEMENT AND FINANCIAL AUDITS OF MEDICAID HOME AND COMMUNITY BASED SERVICES WAIVER RECIPIENTS. HR9 REQUESTING THE STATE AUDITOR TO PERFORM AN AUDIT ON THE USE OF GEOGRAPHIC EXCEPTIONS WITHIN THE DEPARTMENT OF EDUCATION, INCLUDING REPORTING ON EQUITY IMPLICATIONS BASED ON THE INFORMATION CONTAINED IN THE AUDIT. HR10 REQUESTING THE STATE AUDITOR TO PERFORM AN AUDIT OF THE DEPARTMENT OF EDUCATION'S PROGRESS TOWARD AN ALTERNATIVE CERTIFICATION PROGRAM FOR SCHOOL LEADERS. HR23 ACKNOWLEDGING AND HONORING SENATOR TOI HUTCHINSON AND WILLIAM T. POUND FOR THEIR DEDICATED EFFORTS IN SUPPORT OF THE NATIONAL CONFERENCE OF STATE LEGISLATURES. HR27 REQUESTING A STUDY BY THE UNIVERSITY OF HAWAII COLLEGE OF TROPICAL AGRICULTURE AND HUMAN RESOURCES ON THE DEVELOPMENT OF MORE POTENT CANNABIDIOL. HR36 URGING THE SMITHSONIAN INSTITUTION TO IMMEDIATELY RENAME THE ARTHUR M. SACKLER GALLERY. HR174 REQUESTING THE AUDITOR TO CONDUCT A FOLLOW-UP STUDY TO ITS 2015 STUDY OF DEPARTMENTAL ENGINEERING SECTIONS THAT MANAGE CAPITAL IMPROVEMENT PROJECTS. HR221 RECOGNIZING THE HONOREES AND DISTINGUISHED FINALISTS OF THE BOYS & GIRLS CLUBS – STATE OF HAWAII'S 2019 YOUTH OF THE YEAR AWARDS.